Dave Nalle, Chair National Republican Liberty Caucus: AUSTIN, TX – The Republican Liberty Caucus national board is proud to endorse Rep. Ron Paul (R-TX) for the Republican presidential nomination. In a field of candidates who show little genuine commitment to individual liberty or reducing the size of government, Rep. Paul stands out as a consistent champion of the values of the Republican Liberty Caucus; limited government, personal liberty and free enterprise. A major goal of the Republican Liberty Caucus is to expand the number of Senators and Representatives who are truly dedicated to the principles of small government, free enterprise and individual liberty. We made a good start towards changing Congress in 2010 and with Ron Paul at the head of the Republican ticket and a great field of liberty candidates we can win even more seats in Congress in 2012. With leaders like Ron Paul this is the year when we can bring our government back to the values of the founders and put the liberty and prosperity of our citizens at the top of the national agenda rather than the bottom. 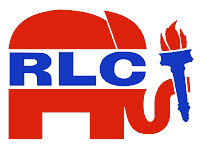 Tags: RLC, Republican Liberty Caucus, GOP, endorsement, 2012 Republican, presidential candidate, Ron Paul To share or post to your site, click on "Post Link". Please mention / link to the ARRA News Service. Thanks! I'm in one of the RLC members not supporting Paul at this time. Like you the only way would be if it was between BO or the oldest president ever elected. Good info.. Now I know NOT to support the Republican Liberty Caucus. Pffft. Ron Paul, Shmon Paul. I want a President who is proven to be in favor of giving job creating corporations free money after they wreck the economy. You know, one of the other guys. Whoever has the most mentions on the radio on my way to the polls.